Customers are not static in nature. New processes, technologies, products, trends, regulations, requirements, etc. all lead to an ever-evolving set of challenges and needs. And who do they expect to adapt to their changes? That’s right, their service providers. In general, today’s business customer is turning to technology to help them do more with less – less time, less resources, less brain power with the expectation of smarter insights, faster actions, and better results. Specific to the invoicing portal, customers aren’t just looking for a digital tool set. They’re expecting their service providers to be vested in helping their business to better perform. The key is possessing a set of capabilities that go beyond the digital invoicing check box to provide tangible business value to the user. It’s about seamlessly integrating with the customers’ processes and external tools to enable them to do more with less. And in turn, creating dependency on your invoicing portal and your company. 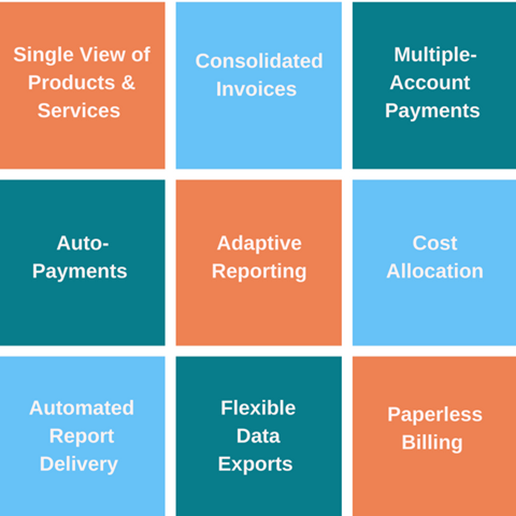 The image to the right provides a snapshot of nine B2B invoicing portal features that are continually acknowledged for adding tangible value among the business base. How would your customers rank your invoicing portal across these features?